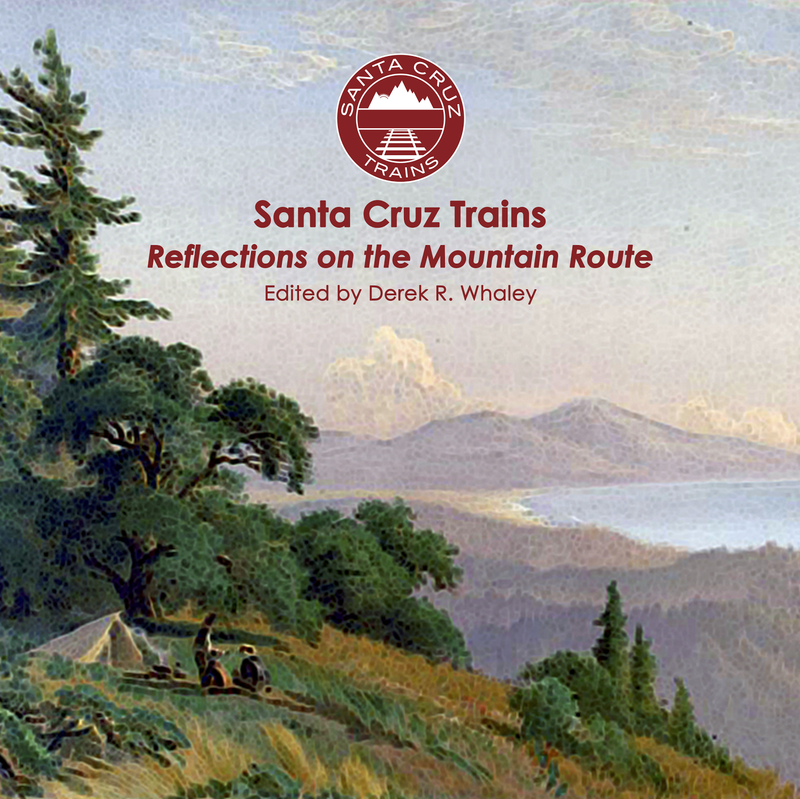 Over the years, there have been few attempts to recreate the original South Pacific Coast route over the Santa Cruz Mountains between Olympia and Vasona Junction. Yet one attempt begun in 1988 by local author and historian Rick Hamman almost succeeded. His Eccles & Eastern Railroad Company was founded with the direct intention of reconnecting the long-standing termini of the Southern Pacific Railroad's Mountain Division. To help manage the company, he brought on Michael Hart who eventually replaced Hamman as formal leader of the project. their rebuilding of the Mountain Division in 1992. Soon after incorporation, the E&E RR obtained a former 1904 Southern Pacific Baldwin 2-8-0 locomotive number 2706 from Ramsey Park in Watsonville and parked it on the siding near Swift Street in Santa Cruz with the intention of turning it into an excursion train engine. Roaring Camp Railroads had just recently gained ownership of the entire right-of-way between the end-of-track at Eccles and Santa Cruz Depot. The E&E RR gained freight-hauling privileges along this route, with further privileges via Southern Pacific Railroad tracks to Pajaro. After a short while, they also brought in a section crew and purchased materials to built and maintain the tracks, which Roaring Camp eagerly allowed. Without a connecting route over the mountains, the E&E RR hoped to use their resources to begin as a freight-hauling company, working with the owners of the Olympia Sand Pit to haul sand out of the county. Somewhere near Olympia, they set up a small office to support this venture, likely also as a first step toward rebuilding the branch line in the Zayante Creek canyon. Initial plans were set on having an evening excursion and dinner train between Santa Cruz and Glenwood up and running by Summer 1993. By 1992, the E&E had become the Sierra Pacific Coast Railway after purchasing the Sierra Railroad and the company had gone public. A full advertising bonanza was begun in the hopes that stock sales would ensure the success of the planned mountain route. More than 100 shareholders, 10% of whom were local non-profits such as museums, supported the venture, but $50 million was the estimated cost of restoring the route. 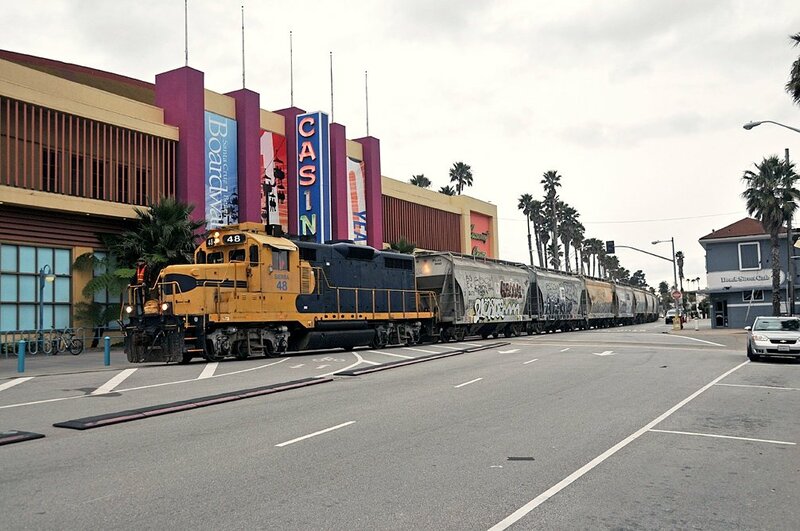 During this time, a "Santa Cruz-Los Gatos Rail Corridor Feasibility Study (PDF)" was prepared. This report took two years to complete and included a survey of the existing route, an environmental impact study, and alternative proposals for portions of the route. Regrettably, this survey was one of the factors that doomed the project. Presented in December 1994, it noted some serious problems with aspects of the existing right-of-way. Foremost among them was the passage around Lexington Reservoir and through the city of Los Gatos. A four-mile diversionary route was planned to resolve the issue with the reservoir while tracks installed in the center of State Route 17 would have diverted the route around Los Gatos until it could meet up with the mainline tracks north of Vasona Park. Unfortunately, other factors crept in too such as the fact that at least a dozen fiercly-defensive residences and businesses sat on the right-of-way and that two mile-long tunnels, one spanning the San Andreas Fault, would have to be rebuilt and realigned. Sierra Northern freight train at the Santa Cruz Beach Boardwalk. The Sierra Pacific Coast Railway suffered hardships beginning in mid-1992 and little progress was made toward achieving the proclaimed goals of the company. Formal operations along the line were begun on October 1st, 1994, though what these operations entailed is unknown. Santa Cruz County and City politics ganged up against them and a smear campaign finally ended the Eccles & Eastern Railroad Company on September 29th, 1995. A part of this campaign suggested that Hamman and Hart intended to turn State Route 17 into a toll road, which was a blatant lie. 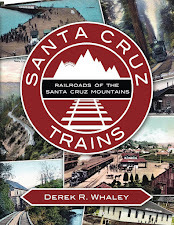 However serious factors were also at stake and County Supervisor Gary Patton insisted in 1991 that such a rail line would only hurt the unique qualities of Santa Cruz by allowing the constant intrusion of people from Santa Clara County. When the E&E RR died, the company's CEO, Michael Hart, retained control of the Sierra division. Sierra Pacific Coast Railway lasted another four years before finally shuttered its doors at some point in Spring 1999 after filing for bankruptcy. Hart sold the 2706 engine to John Manley who is rebuilding the engine in Colusa, California, for use on a local rail line. The Sierra Pacific Coast Railway reemerged in August 2003 as the Sierra Northern Railway through a merger with the Yolo Shortline Railroad, and the company continued to haul freight within Santa Cruz County until the closure of the Davenport Cement Plant in 2011 at which point it ceased operations in the county. No further attempts have been made to rebuild the Mountain Division to Los Gatos. Once again you've delivered some fascinating info, Derek. But how in the heck do you pronounce Eccles? Ecklees or Eckles? My sources are divided. Thanks for all the great history about our area. I pronounce it as if it were a cake. I pronounce it: Ehk-ulz. Honestly, I'm not sure if I've ever heard it pronounced by someone else, though. I've never been corrected in my pronunciation, if that counts for anything. My question is this. Under federal railroad act aren't the people who have businesses and housesnthe obstruct the origonal deeded route fall under eminent domain. And aren't under eminant domain supposed to be given grant for the value of thier property to relocate. That was the way i undertood the law although i may be wrong. I would never move in an old right of way and i would feel blessed to live next to a historic line. I had lived many years right smack dab in the middle of the boulder creek yard growing up and dug up many railroad artifacts i would sell to the boulder creek antiques museum. I love your sight as i have seen some site i did not know where there. From what I understand, everything north of Eccles is owned by somebody else, not the railroad anymore. There may be an exception for the tunnels, but otherwise that appears to be the case. Regarding the people moving into the "active" Santa Cruz right-of-ways, well, it is technically the job of the railroad to ensure that people aren't pushing onto their land. If they let it slide too long, the people can sometimes argue in favor of squatter's rights, which means they may get compensated for basically stealing someone else's lands and not getting in trouble for it for so long. It's an annoyingly complicated process that the city has been dealing with for two decades or more. It's awesome that you lived for so long on the train yard. I've been wanting some good old railroad relics from around here, but they are surprisingly hard to find without a metal detector.